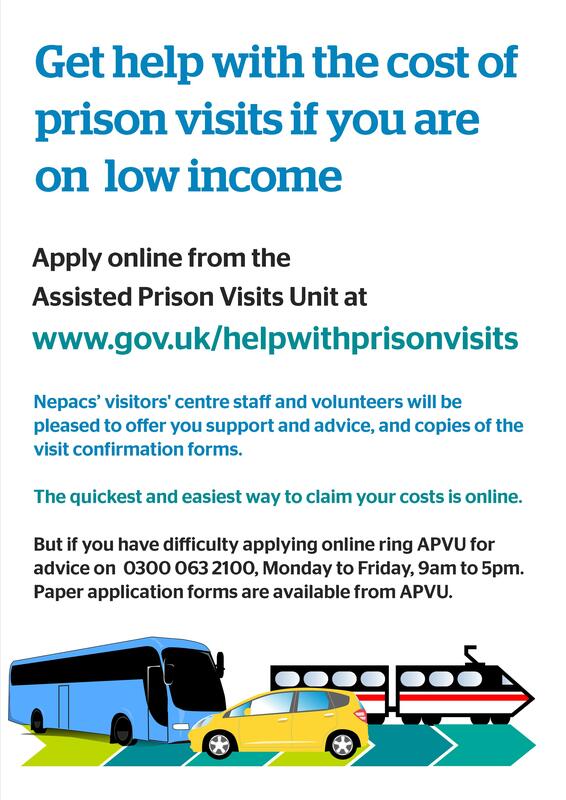 Please book your visit online at www.gov.uk/prison-visits or phone the Visits Line on 0300 060 6514. The line is open Monday to Friday 9am to 6pm. A visit can be booked a minimum of 2 working days prior to your visit date (subject to availability) and a visit can be booked up in a maximum of 28 working days prior to the visit (subject to availability). The person who books the visit must give details of every visitor who is attending the visit and must be on the prisoner’s contact list. A reception visit (first visit) is permitted within the first 7 days of being taken into custody. It does not have to be booked and it lasts a minimum of 30 minutes. Please note that the day they come into custody is counted as day 1. We advise visitors to ring up first to make sure that there is a visiting session on the day they want to come for a reception visit. Children of the prisoner are permitted on reception visits. All remand visits must be booked over the phone, they cannot be booked online. All other visits must be booked in advance. Do I need a visiting order? You do not need a visiting order. However, you will need a reference number which will be given to you either in a confirmation email or when you book your visit by telephone. Please bring the confirmation reference number with you to the visit. All visitors must be named on the prisoner’s contact list before they can book a visit and all visitors must be present when booking in. On arrival at the Visitors’ Centre you will register at the desk where the prison visits process will be explained. Your ID will be checked in the visitor centre. An officer will take all visitors over to the visits hall where you will be searched before entering the visits room. Nepacs provide play areas in both the Visitors' Centre and the prison visits area. We also provide a tea bar in the visitors’ centre and within the prison visits room, where you can purchase light refreshments for yourself and the relative or friend you are visiting. A quiet room is available in the centre. The youth room in the visitors’ centre is open Saturday and Sundays 12 noon - 2pm and school holidays. By train or bus: Train or bus to Durham, then taxi or bus to Brasside. Bus service 62, from outside the bus station in North Road, Durham at 12 minutes past the hour (Monday to Saturday only). No Sunday service. Bus service 64, which is every 10 minutes from outside Durham bus station (Monday -Saturday only) provides a limited service on a Sunday to the Jovial Monk Pub on Newton Hall Estate. The pub is a 10 minute walk to the visitors’ centre, which is an uphill walk on the return journey. Taxis from Durham City cost around £9.00 each way. Parking is available at the prison. Nepacs provide play areas in both the Visitors' Centre and the prison visits area. The play area within the visit’s hall is staffed by Nepacs play workers who will provide activities for children during the visit. A youth room in the visitors’ centre, for children aged 8 to 18 years, is open Saturday and Sundays 12 noon to 2pm and school holidays. We also run parent/child, play days and special family visits (see 'Do you run any special family visits?' below). Parents remain responsible for their children at all times and children should be discouraged from wandering around the visits hall. Parent/child visits take place every Friday from 9.30am to 11.30am. Extended children's visits (including play days and family days) also take place regularly. Ask in the visitors' centre for details of the next visit. The special family visits include age appropriate activities, usually around a theme (such as Easter or Christmas), including crafts, games, quizzes and bingo. Valid passport, including foreign passports, and time expired passports where the photograph is still recognisable as you. Employee or Student ID card but only if it clearly shows the name of the visitor and the employer or educational establishment, and has a photograph and signature. Persons under the age of 18 years may require ID. All forms of ID must be originals, photocopies will not be accepted. If visitors fail to bring identification they will not be allowed into the prison. Remand prisoners are allowed up to 3 visits between Tuesday to Friday and one visit between Saturday to Sunday. Convicted prisoners are allowed a minimum of 4 visits every 28 days. Only 3 adults with accompanying children may visit. Each table has 3 chairs; children’s chairs can be brought to the table. Please notify the prison if you think there will be difficulties with this arrangement. Visitors’ under the age of 18 years are not allowed to stay in the Visitors’ Centre unaccompanied. Visitors wearing an electronic tag are not permitted to visit unless approved by the Governor. Everything else including ID is to be left in your locker. No scarves/headwear, fashion wigs, electronic devices worn on the wrist (inc Smart Watches and Fit Bits) can be worn on your visit. If a baby is visiting, the carer can take an empty feeding bottle with a factory sealed pack/carton of milk/juice, and dummy with them. Nappies and baby wipes are provided. Your ID will be checked in the visitor centre from 1.00pm. At approximately 1.30pm an officer will take all visitors over to the visits hall where you will be searched before entering the visits room. There may be a passive drug detection dog on duty. If the dog indicates in any way that drugs have contaminated you, you will be offered a closed visit to assist in security. If your child is frightened of dogs you should inform staff. The dogs are friendly and do not bark or jump up. Property cannot be handed in for the prisoner. Any items sent to the prisoner must be approved in advance by Wing staff in compliance with the facilities list, available to the prisoners from the Wing office on each Wing. For example, if a prisoner requires some clothing sending in then they must fill out an application (App) and wait until it is authorised before asking the family/friend to send the parcel in to the prison. Any items received without approval will be returned to the sender and the postage costs will be charged to the prisoner. In addition to approved items of clothing, letters, cards (not padded or with any embellishments), photographs (subject to security) and flowers delivered from any Interflora florist (flowers must not be in water bags) can be sent in without prior approval. Books may also be posted in to the prisoner without prior approval as long as the prisoner has no more than 12 in their possession at any one time. A range of items are available for the prisoner to purchase weekly eg tobacco, toiletries, phone credit, coffee, chocolate etc. Prisoners will also have to order newspapers and magazines on the wing. Money via postal orders, cheques and cash are still being accepted at Low Newton. Send postal orders to the inmate at HMP & YOI Low Newton, Brasside, Durham, DH1 5YA. Senders name, address and postcode needs to be on the reverse of the PO. Can she phone or write to me? The prisoner is able to telephone her family/friends during association (time away from their cells), if she has bought phone credit and had your telephone number cleared with security. Be aware that it is not always possible for the prisoners to get to the phone and when they do there may be a long queue. They are also able to write cards or letters. If you are concerned about anyone in custody, please speak to a Visits Officer in the prison or any staff at the Visitors’ Centre. Alternatively you can leave a telephone message using the ‘At risk’ line on 0191 376 4189.
Who do I contact if I need someone to talk to? If you or your family have any additional needs, medical or otherwise, or just want someone to talk to please contact the Visitors’ Centre. We are here to help. We also hold regular Visitors’ Voice sessions where visitors get together to support each other. On occasions a representative from the prison attends to explain what happens within different departments and to answer questions. Look out for details in the centre. Please ask at the desk in the visitors’ centre for details of the Assisted Prison Visits Scheme before starting your visit. For more information about visiting please get in touch with the visitors’ centre on 0191 3764138.